If you’re heading off to college this fall, you’re probably packing up your clothes, school supplies, and personal items. But what about decorative accessories? Chances are that you’ll be confronted with an uninspiring, empty dorm room when you get there. If you want to perk up your college living space, you’ll need a little dorm room décor. Although cramped dorm rooms are not the easiest spaces to decorate – especially when you’re on a student budget – there’s no reason why your college digs have to be boring. 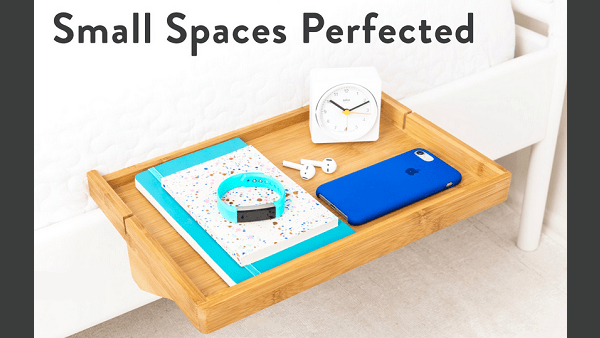 So to help you create an appealing and comfortable room this semester, we’re sharing our top picks for affordable and practical pieces that transform compact spaces into stylish places. And, best of all, you can find each item for under $50 on Amazon! College students are eligible for a six-month trial of Prime Student, a membership that offers exclusive discounts on college essentials, access to Prime Video, free shipping on over 100 million items, and other benefits. At the end of the trial, Prime Student is just $6.49/month, but students can cancel anytime. Sign up for your free trial here. Disclaimer: The above products were NOT provided for free or at a discount in exchange for a review, but we may earn commissions on sales from the links in this page.